Then came the American Revolution and the dream of Peace and Plenty was put on hold. After the war, life for those loyal to the British Crown became intolerable. Viewed with suspicion, Loyalst families were harrassed. Many were forced to leave property,possessions, family and friends. s. Especially hard hit were widows and orphans. With peace, these same courageous people forged on to rebuild towards their dream of Peace and Plenty. 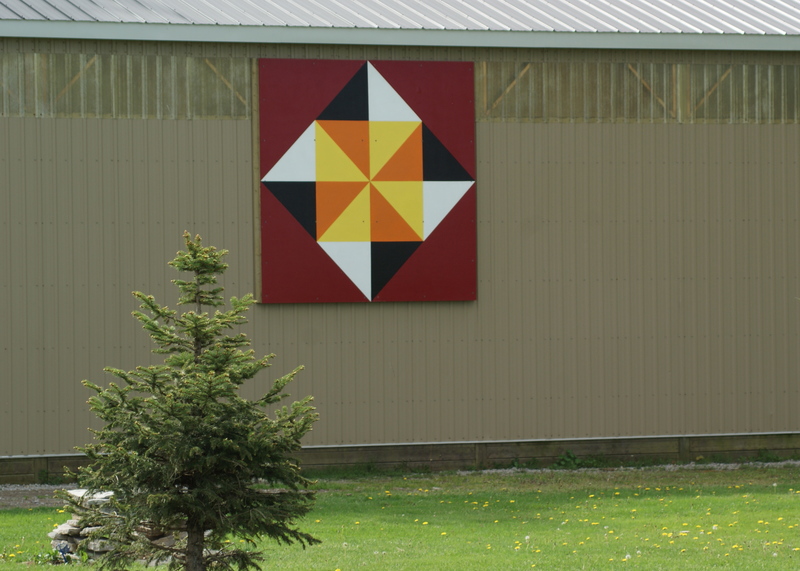 Posted on May 25, 2012, in Barn Quilt Champions.. Bookmark the permalink. Leave a comment.